Metro boss Richard Sarles is retiring this month which means the transit agency must pick an "acting" general manager to fill the void. 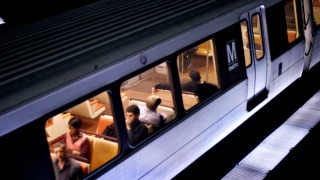 Sources tell News4 Jack Requa, Metro's assistant general manager, will be asked to take the reigns as acting GM. The announcement is expected at Thursday's board meeting. Requa has filled that role in the past when Metro has been in between permanent general managers. Requa most recently has been in charge of Metro's bus division. The Metro Board is currently narrowing down its list for permanent general manager and is expected to make that pick by the end of January. News4's Adam Tuss also reported D.C. Council Member Jack Evans will replace Muriel Bowser on the Metro Board.